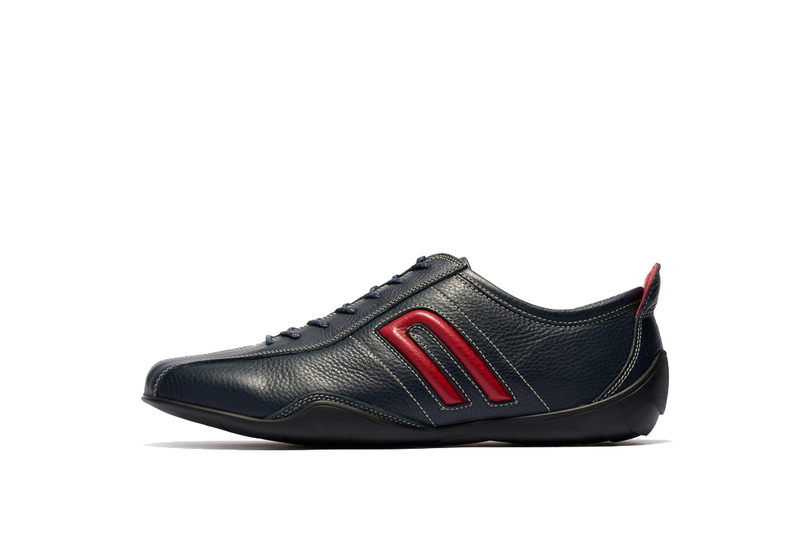 Low Top “NEGRONI Leather” Sneakers in BLUE/RED. NEGRONI “n” emblem embossed on the sides with a Contrasting Punched leather in Red. Smooth Silver Lining. Italian Black Rubber Sole which rides up the Heel for driving purposes. Unique to Negroni are the Bucket Insoles for heel support with 3 types of cushioning for maximum comfort while driving or walking. Made in Japan.